Located in Calcasieu Parish and home to over 20,000 people, Sulphur is a small Louisiana city that is part of the Lake Charles metropolitan area. The city was named due to the presence of many sulphur mines in the surrounding area and naturally has a rich history based all around the mining and extraction of sulphur. Spread out across just over 10 miles of land, Sulphur is only a little city in both size and population, but still has plenty to offer and represents a perfect example of Louisiana life, surrounded by bayous and wildlife of all kinds. The main tourist attractions of the city include the Brimstone Museum, which educates and fascinates visitors with plenty of exhibits on the history of the city and mining in the area, as well as the Henning Cultural Center and the popular Creole Nature Trail, which features various scenic hiking trails and wildlife spotting opportunities for people of all ages to enjoy. Sulphur, LA is also a popular city to stay in for people who are visiting the local major city of Lake Charles, which is less than 10 miles away. Sulphur is generally considered a great place to stay, especially if you're traveling in an RV, due to its quiet surroundings, easy access to Lake Charles, and high quality RV parks with affordable rates. 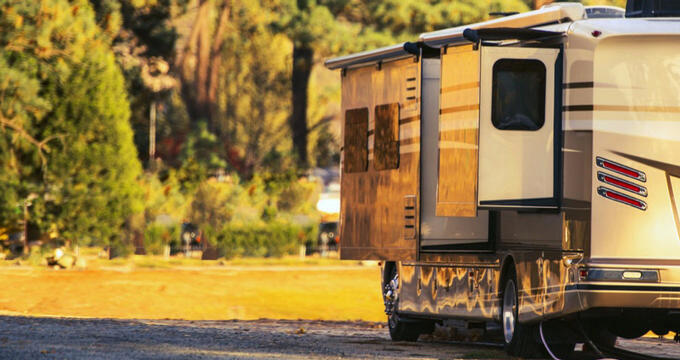 Read on to learn some key details about the best RV parks in Sulphur, LA, complete with rate info, contact details, and overviews of the various features and amenities each location has to offer. If location is a big factor for you when choosing an RV park, Wingate RV Park is definitely one of the best options in Sulphur, LA. This RV park is right in the heart of the city, only a few miles from key locations like the shores of Lake Charles, and has received a lot of great reviews from past guests due to the cleanliness of its facilities, the quiet vibe around the park that lets everyone enjoy a restful stay, and the quality of its customer service. Wingate RV Park is a family owned and operated RV park and business that got started way back in 1980. Very easily accessed right off I-10 for quick transport around Sulhpur and into Lake Charles, this is an excellent RV park to choose if you don't need fancy features and long lists of amenities and just want a cheap, clean, safe RV park to help you enjoy your stay in the area. The rates are very low and the RV park comes with paved roads, grassy spaces, and concrete slabs. Located in a central area, not far from all of the main amenities and key locations of Sulphur, the A Plus Motel & RV Park has been one of the city's top accommodation and RV destinations for several years now and has received many 5-star reviews from past guests. Once you arrive at this excellent, family owned and operated location, you'll start to understand exactly why it's so popular and beloved. The welcome provided at A Plus Motel & RV Park is always exceptionally warm and friendly, with the staff really going out of their way to earn that 'A Plus' rating in everything they do. There's a big focus on guest satisfaction at A Plus Motel & RV Park, which features over 130 full concrete RV sites with their own private picnic tables and full hook-up utilities. You'll be able to benefit from 30/50 amp power, cable TV, and speedy Wi-Fi at your RV site, with this Sulphur RV park also offering the following amenities: a play area for young children, a dog park for your canine companions, a fishing pond with its own attractive fountain, a swimming pool and splash area for the kids to play in, a fitness center with weights and machines, an adults-only rec room, multiple pavilions with picnic tables and BBQ grills, a meeting room that can cater to over 50 guests, several bathhouses, lots of useful laundry machines, a scenic walking trail, a fish cleaning station, security cameras, on-site management, and more. The best RV parks manage to offer both tranquility and convenience, and that's exactly what you'll get at Hidden Ponds RV Park, which is situated in a perfect little oasis in the center of Sulphur. The atmosphere at this RV park is so calm and quiet you could almost hear a pin drop, with lots of pretty ponds dotted about the area and plenty of ducks and other wildlife to admire along the way as well. It's an excellent location to do some fishing, with the ponds all stocked up with multiple species, while also being conveniently located near the Creole Nature Trail and various casinos and attractions of the surrounding area. Offering a clean, safe environment for all guests, Hidden Ponds RV Park features full hook-up sites with 30/50 amp power and standard utilities. You'll also get access to speedy wireless internet at most RV sites, so you keep up to date with social media feeds and news from around the world. There are also no less than seven acres of ponds to explore, with other amenities including laundry machines, showers, and restrooms.